Best Enrolled Agent Courses - EA Exam Review & EXCLUSIVE DEALS! Let Me Find the Best Enrolled Agent Course for You! I've analyzed all available enrolled agent courses based on readers’ experience and comments from participants in major accounting forums. You can use my list of pros and cons to find the best EA review course for you! I don’t believe people who say their study materials are the absolute best. Different enrolled agent exam courses suit different candidates according to their individual backgrounds and learning styles. However, I am confident that you will find enrolled agent courses that work best for you here. * Conditions apply. Please check with the respective providers for details. For Gleim EA, the Access Until You Pass feature is only available on the Premium EA Review System. Gleim EA Review is the most widely used EA review course on the market and has everything you need to pass the EA exam. You can sign up for a free trial of the course with full access to Study Unit One. The money-back guarantee and Access Until You Pass are very helpful. Gleim EA Review claims to have the biggest test bank on the market, and they have a reputation for writing excellent, accurate exam questions. Though you can choose between the Traditional and Premium versions, the Gleim EA Review course is still one of the more expensive on the market. Although audiovisual lectures are included, there are no professor-led video lectures. Furthermore, the audiovisual lectures are similar to an animated PowerPoint presentation. If you have some tax background and are the type of candidate who learns best from doing lots of practice questions, I have no doubt that the Gleim EA course is the best for you. This course offers all the bells and whistles at an affordable price. This course is very well designed and easy to use. Fast Forward Academy EA Review is the only enrolled agent course to offer video lectures. This course includes a huge test bank and unlimited practice exams. The money-back and Access Until You Pass guarantees are as good as it gets in the industry. The answer explanations are not as in-depth as the Gleim EA Review ones. Some answer explanations only state why a correct answer is correct and don't go into detail about why the other answer options are incorrect. The video lectures have been borrowed from Fast Forward Academy's CPA course. While they are appropriate, I'd prefer lectures created specifically for EA candidates. Fast Forward Academy EA Review has an affordable course that provides EA candidates with a lot of value, and I'm encouraged by all the students who have used this enrolled agent course to pass. I am impressed by this offering and do recommend it. This is the only fully comprehensive course that supports you up until and even after you pass the EA exam. The course provides you with access as long as you need it. And, you'll be able to ask the instructors and professionals in the course client-related questions. TaxMama is the only review course that provides a wealth of instructional videos specifically for the EA exam. These are also the only tax videos you can watch and ask questions during in real time. And thankfully, if you miss a lecture, you can watch it on demand because they are recorded. The price of this course may be a bit out of range for some enrolled agent candidates. But, all of the additional value warrants this price tag. Surgent is an accounting test prep developer that prides itself on one unique offering in particular: software that learns from your answers. The ASAP (adaptive learning) technology analyzes your weakest areas based on your performance in each study session. This personalized system has the potential to be a great help to candidates. You can take advantage of the money-back guarantee as long as you are a “good student.” The parameters for this status include how much time you spend on the questions and the percentage of questions you answer correctly in the end. Surgent's course contains fewer features (e.g., no video lectures, audio reviews, or flashcards) than the Gleim and Fast Forward courses. However, the lower price does reflect the absence of additional materials. The Surgent course is a good choice for those who know the exam content but need test prep software for exam preparation. It is also a great supplemental choice if you're looking for an additional set of practice questions. These guides are the #1 best-selling texts under the tax law book category. The complete guide is priced at less than $180 for all 3 parts. The workbook for mock exams costs just another $60. These books are well written. The books do not include access to an online course. Furthermore, candidates can't practice in a simulated testing environment. Some of the practice questions are good quality, but others are confusing. You must go through these books completely on your own. Passkey offers no customer support or Personal Counselors. Passkey's text is great if you're just looking for a book. However, in this era of computerized tests, I personally would prefer to have an online component as well because that is the only way to experience a simulation of the exam environment. Tools for performance tracking and time management are also helpful for monitoring your study progress, and you won't find those here. These other courses didn't make my top 3, but I've still listed them here for your reference. Live classes are available in more than 10,000 locations. This course is not tailor-made for the EA exam. Instructor Arthur Reed has a good reputation. The Lambers' sales strategy seems to rely more on aggressive marketing than maintaining the quality of their course. And at more than $2,000, the course is much too expensive. If you're a serious candidate who wants to pass on the first try, I recommend Gleim EA Review. This course is NAEA endorsed, has the best practice questions, includes Personal Counselor support, and comes with the Access Until You Pass guarantee. You can explore the Gleim EA course with the free trial, and with our Gleim Enrolled Agent discount, you can save 15%. The Enrolled Agent exam contains exactly 300 multiple-choice questions (MCQs) addressing 12 main content areas. These topics are fairly broad, so the exam questions could ask you about anything relating to them. To prepare for such general coverage of federal taxation, you must answer plenty of practice questions. Thankfully, you can get more than enough practice questions in EA test banks, which you’ll find in enrolled agent exam courses. A test bank is a collection of MCQs like those on the exam. Using a test bank allows you to become more familiar with the exam content and testing environment. It also helps you avoid memorizing the questions, which is an ineffective strategy. While EA test bank size varies, Gleim and Fast Forward have the best test banks on the market. The Gleim EA test bank has more than 3,500 unique practice MCQs and detailed answer explanations for each. These explanations are crucial for helping you understand the reasoning behind each answer. Furthermore, these questions also recreate the format and functionality of the real exam questions better than any other test bank. This level of exam emulation lets you develop more confidence so you are prepared to pass the exam. The Fast Forward Academy EA Review test bank is about as big as the Gleim EA Review test bank, as it also has more than 3,500 questions. This test bank also has detailed explanations for each question; however, they don't have as much information for the incorrect answer explanations. This is where Gleim EA Review excels. Furthermore, Fast Forward’s test bank comes with unlimited practice exams. That means you can effectively train yourself to answer 100 MCQs in 3 ½ hours, just as you would on the EA exam. If you want to drill knowledge into your head by drilling questions, you’ll want to use one of these test banks. You might not think you can learn that much from videos, but video lectures are actually a great resource for mixing up your studies and keeping you focused. Video lectures are video recordings of instructors teaching about the concepts and questions on the exam. When you incorporate video lectures into your review, you can process information faster, retain it longer, understand it better, and enjoy it more. I believe we should consider both quantity and quality when comparing enrolled agent course video lectures. That’s because some video lectures are well-made and informative, even if they do not include as many total hours. With these standards in mind, I recommend Fast Forward Academy’s video lectures. Fast Forward presents their video lectures in a custom-built video player that does more than just play videos. It allows you to skip to important sections, take notes and create discussions while you watch, and split the screen so you can view the corresponding slides as well. With expert instructors leading the lessons, these video lectures simplify the difficult topics so you can increase your comprehension and retention. In general, video lectures are great EA review resources. The Fast Forward Academy EA video lectures in specific are the best. The EA exam has 3 parts, and each part presents 100 MCQs. These MCQs can be complicated, as they come in several different formats. Therefore, doing well on these questions requires you to do more than just memorize definitions and formulas. Instead, you must reach deep levels of knowledge with the exam content. When you have plenty of high-quality practice MCQs to answer, this is definitely possible. 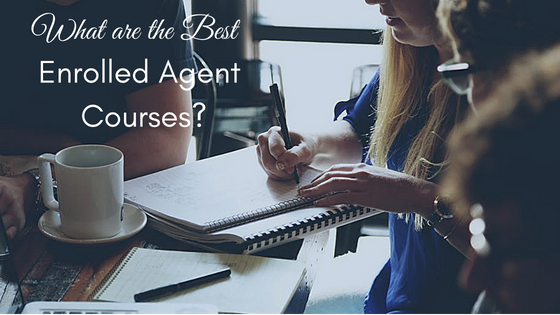 Two enrolled agent exam review courses come with the most and best MCQs. Gleim EA Review has the biggest test bank full of the best MCQs on the market. These MCQs are high-quality because they accurately recreate both the difficulty level and the functionality of the EA exam questions. As the first EA exam review provider, Gleim has the experience needed to write such exceptional practice questions. Therefore, these are the questions you need to be completely prepared for test day. Fast Forward Academy also offers over 3,500 MCQs that represent real EA exam questions well. Furthermore, Fast Forward has enhanced their MCQs with analytics that help you target your weak areas. When you answer a practice Fast Forward MCQ, you have the ability to specify how sure you are in your answer. The course uses this information to show you which areas you need to focus on until you’ve achieved mastery. When every question on the EA exam is an MCQ, you need the best MCQs available to pass it. Multitasking is not always the best idea. But when multitasking means you’re studying for the EA exam while exercising, cleaning, or commuting, it’s a great idea. Studying while doing simple tasks like these is possible thanks to EA review audio lectures. Audio lectures are the auditory content of a lecture, and with them, auditory learners and candidates on the go can maximize their time. As you can see, most review providers don’t actually offer audio lectures, so I only have one recommendation. The Gleim EA audio lectures are as thorough and comprehensive as the Gleim EA books. That’s great news, because it means you won’t have to miss a thing when you switch from the book to the audio lectures and back again. The audio lectures are also clear and easy to listen to. Finally, you can download them and play them on any device for your convenience. If you intend to rely heavily on audio lectures for your EA exam review, I suggest you rely on Gleim EA audio lectures. The process of passing the EA exam demands that you make some plans, one of them being an EA exam study plan. To make your study plan, you must determine how fast you want to pass, when you can fit regular study sessions into your schedule, how to average 1-2 study hours a day, and when you can finish your studies. This step is very important, and it can also be quite easy when you use an EA review study planner. In my opinion, the best EA study planners are easy to use, adjust to changes, record your progress, and hold you accountable. Good news! Though the Gleim EA and Surgent EA study planners are the only 2 available, they both fulfill these requirements. The Gleim EA Review study planner is top-notch because it enables you add test dates and hours of availability before developing a detailed schedule of all your study sessions. The study planner keeps track of your study history and adapts as you add or remove blackout dates. Additionally, it emails or texts you about missed study sessions. Surgent’s course software creates a custom study plan once you’ve completed a series of quizzes. The study planner tool then helps you see exactly how many hours you must devote to your exam preparations. The study planner considers your exam date, specified study days, and knowledge levels to produce a tailored review agenda. With these effective study planners, you can find your ideal test dates and make sure that you’re totally ready by then. Quality customer service is one component that you can always use to distinguish a good enrolled agent course from a great one. The best enrolled agent courses offer dedicated support to candidates in a variety of ways. With standard customer service, you can simply contact the company through various means like phone, email, live chat, and social messaging. But with exceptional customer service, you get assistance for each specific problem from a team of experts. The provider that has gone above and beyond in this way is Gleim EA Review. Gleim EA Review’s customer service stands alone for 3 reasons. First, as soon as you enroll with Gleim, you receive your own designated Personal Counselor. A Personal Counselor is an exam mentor who helps you create a study plan, answers your questions, and encourages you until you pass. Second, you can rely on technical gurus to resolve any computer or course access problems you may face. Finally, you also get access to accounting experts who will help you understand the exam concepts when you reach out to them via the practice question inquiry system within the course. You don’t have to take on the EA exam alone. You can receive outstanding study aid from the beginning to the end of your exam journey when you review with Gleim EA. Flashcards may seem a little old-school, but they’re still very effective, especially when you’re studying for the EA exam. If you need to improve your memorization of definitions, formulas, and more, you should flip through flashcards. Developing your own flashcard deck increases your comprehension and retention of the information, but if your enrolled agent course includes them, you can save time and effort by utilizing pre-made flashcards. I believe the best course for flashcards is Fast Forward Academy. Making your own flashcards helps you learn, but using pre-made flashcards saves time. With Fast Forward, you don’t have to choose between the 2. The Fast Forward Academy flashcards provide the best of both worlds by letting you make your own digital flashcards. Their course makes taking digital notes simpler, and with the digital flashcard creator, turning your notes into a personalized deck of flashcards is a cinch. You can then drill yourself on any device thanks to Fast Forward’s mobile compatibility. It’s the perfect flashcard setup. Are they called flashcards because you move through them in a flash or make them in a flash? With Fast Forward Academy, the answer is both! You can purchase review courses for each part of the Enrolled Agent exam separately or as a complete set. An enrolled agent course covers and presents the exam content in a convenient and efficient way. The 3 parts of the EA exam test your familiarity with a variety of topics about tax preparation and representation. The Internal Revenue Service explains the EA exam content in the Candidate Information Bulletin and other documents found on the Prometric website. These documents go into a great deal of detail, but they don’t tell you specifics to the extent necessary for passing the exam. Therefore, as an EA candidate, you are responsible to find and learn these specifics yourself. You’ll also need to develop the related skills. Doing so on your own would take a lot of time and effort, as you’d need to conduct in-depth research. Of course, this process would also greatly increase the duration of your studies. Thankfully, there’s another way. Instead of taking your preparations for the Enrolled Agent exam all on yourself, you can use an enrolled agent course. An Enrolled Agent exam review course gathers and distills all of this information for you. A quality enrolled agent exam review course contains expertly-authored textbooks and lectures addressing every area of the exam content. With the exam content covered, you can focus on mastering the material rather than collecting it yourself. An Enrolled Agent exam course guarantees that you achieve the knowledge and skill levels needed to pass by exam day. As good EA review courses provide the exam content, they also evaluate your study progress. With tools like performance tracking software and study planners, you can review and comprehend all of the exam content in a timely manner. The EA exam uses multiple-choice questions to determine if you know everything you need to know to fulfill the enrolled agent position. EA review courses usually feature test banks of practice questions, which give you plenty of opportunities to apply what you’ve learned and get comfortable answering the exam questions. When those test banks also recreate the look and feel of the EA exam, they allow you to become familiar with the exam format and functionality before you even enter the testing center. The result? Come exam day, you have a lot of confidence and minimal chances of being surprised. An Enrolled Agent exam review course affords a system of support dispensing additional information, advice, and encouragement. Almost every Enrolled Agent exam review course comes with some type of customer service. That service could include assistance from friendly exam mentors who answer your questions, encourage you, and keep you on track. It may also involve the ability to work with a technical team on computer or course access issues. At the very least, you’ll be able to contact your review provider via phone, email, or social media messaging whenever you need to. When you purchase one of the enrolled agent courses mentioned on this page, you can enjoy communication with EA experts who won’t let you go through the exam alone. While exam prep for some professional accounting certifications cost upwards of $2,000-$3,000, EA review courses are rarely so expensive. In fact, as you can see in the chart above, most EA courses cost less than $1,000. This is great news in light of the fact that you’ll have other EA exam fees to cover. If you purchase an enrolled agent course that doesn’t come with unlimited course access, then you might also have to pay course renewal fees at some point. Alternatively, you could pass each part the first time and/or choose a course with candidate-friendly guarantees. To avoid the horror of purchasing the wrong course (which you would realize after you failed a part or two) and having to buy another course, use the free trials offered by many providers. These trials show you how the courses work and how well they fit your learning style. Once you’ve explored all the available demos, you should know which course will be best for you. Then, you can use an EA promo code or discount to purchase that course and save money. As I mentioned, enrolled agent review courses are definitely not the costliest. However, that doesn’t mean your funds for EA exam prep are unlimited. I understand that you might really need to or really want to save money. In that case, I recommend at least using EA promo codes to save on whichever course you buy. But specifically, I suggest buying what I believe to be the best budget Enrolled Agent exam review course: Surgent EA Review. Surgent EA Review is one of the most innovative courses in the industry. It’s enhanced with Surgent’s proprietary A.S.A.P. technology that evaluates your current knowledge to pinpoint your strengths and weaknesses. Once the adaptive software has discovered your weak areas, it generates a personalized study path that you can follow every day until you reach EA exam success. Surgent’s course also includes almost 2,000 MCQs with answer explanations, built-in up-to-date IRS publications, unlimited practice exams, and an access until you pass guarantee. This course is a great value for new EA exam candidates, and it’s also comfortably priced for re-takers. With my Surgent EA Review course discount, you can get study materials for all 3 exam parts for less than $500. Surgent has been leading the way with adaptive technology, and when you use an EA promo code to purchase Surgent’s course, you can save both time and money. Everyone has a unique learning style. We’re all special like that. Your personal learning style is the combination of tools and experiences you need to understand information. To effectively prepare for the EA exam, you must use a review course that suits your learning style. Therefore, you need to find out what kind of learner you are. If hearing someone’s explanation enables you to grasp a concept faster, you might be an auditory learner. When you use constant movement to intensify your concentration, you’re a kinesthetic learner. Does watching a video jumpstart your learning process? Then you’re most likely a visual learner. When writing and reading words on a page deepens your comprehension, you are a linguistic learner. Need to see the reasoning behind every concept? If so, you’d qualify as a logical learner. If researching a topic on your own is your preferred approach to learning, you may be a solitary learner. Do you relish the opportunity to dive into a new idea with a group of equally interested individuals? You’re probably a social learner. And, if you find yourself opting to alter your learning approach based on the information you’re investigating, chances are that you have more than one learning style. This is pretty popular. As soon as you know your learning style, use that information to analyze each enrolled agent course. Doing so equips you to see how well these courses will satisfy your learning style. This is another instance in which the course demos come in handy. Sign up for every free demo you can find and explore it until your access expires if necessary. You need to know if a review course addresses your learning style before you make a monetary commitment, and the course trials help you to make this deduction. This list is long, and it might not be in order of importance for you. Therefore, you should employ your own personal priorities to rearrange or omit these qualities as you see fit. Then, you can weigh each review course against your standards and preferences. Remember, different courses will suit different candidates. However, I know you can find the best enrolled agent course for you. And with it, you can pass the EA exam. There are several reasons why you might fail the EA exam. Maybe you didn’t study well enough, long enough, or with the right materials. If you do ever fail an exam part, you’ll probably be tempted to blame your review course right away. However, I advise you to thoroughly evaluate your own study habits first. Only when you can honestly say that you put all your effort into your studies, used the review course exactly as instructed, and still failed should you officially turn against your course. If you do need new EA exam prep, I recommend Surgent EA Review. In the event that you become an EA exam re-taker, Surgent EA Review has your back. The adaptive technology powering Surgent’s course will enable you to unearth all of your weak areas. You can then drill down into the appropriate sections you until you’ve taken your knowledge to the peak of understanding. You’ll also enjoy Surgent’s free demo and terrific guarantee. And with my Surgent EA Review discount, making the switch is even easier. I think you’ll find Surgent to be the lifesaver you need on your voyage to EA exam success. With some certifications, you can’t take the exam until you basically have a bachelor’s degree. With others, you just can’t become officially certified until you’ve graduated. But with the enrolled agent designation, you can finish the exam and earn the qualification as soon as you’re able, no matter how much education you have! If you’re still a student and see the benefits of earning the EA ASAP, Fast Forward is the enrolled agent exam review course I suggest to you. Fast Forward Academy is a mobile-friendly course featuring tons of powerful tools for passing fast. All throughout the course, you can split the screen and put any of the materials side-by-side for simultaneous viewing. You can also take notes and highlight within the digital textbooks. Then, with just a few clicks, you can turn all of your notes into digital flashcards formatted for any device. Plus, detailed analytics are always available to report on your progress, and the course adjusts to your performance until you’re proficient in every topic. Fast Forward supports you with access to an online community of instructors and fellow students. They also supply several advantageous guarantees, such as 30-day money back. This exam-emulating, IRS publication-integrated course is tricked out just enough for an accounting student. See for yourself with the free demo, and use this Fast Forward Academy EA review discount to save big. By earning the enrolled agent designation, full-time accountants can enhance their careers with increased skills, income, job opportunities, and more. If you could have used such career benefits yesterday, you should plan to pass the EA exam as soon as possible. An EA review course that covers all of the exam content clearly and concisely will help you pass faster than you think. The EA course offering the most content coverage is Gleim EA Review. The Gleim brand specializes in easy-to-read content outlines, so the EA course presents all of the information you need to know in this simple, digestible format. Gleim’s course deepens your knowledge with audio lectures and reinforces your comprehension with the biggest test bank available. No matter how long you’ve been out of school and in the accounting field, you can get in the EA exam game with Gleim EA Review. Why haven’t you included Fast Forward Academy’s EA products in your comparison? i used their materials to pass the exams two years ago and loved them. Danielle, did you pass your first part? Please let us know how Fast Forward worked for you! Dear Stephanie, thank you for observation. What can you say about Hock materials? Are there popular among those students, for whom English is not native? Hi Dana, I don’t see Hock providing courses for Enrolled Agent, or do you mean for CMA or CIA? Looking for a program for someone retired and new to tax looking for a part time tax season career. Thanks for the information, but I was anxious to see how Fast forward academy stood up to Gleim. We’ve added this info to our EA comparison chart. https://ipasseaexam.com/enrolled-agent-course/ Thanks for your feedback! This is slightly off topic but I will appreciate your feedback. I am retired and trying to find a new way to make a living. I have no accounting experience but have been preparing my own taxes for years which I enjoy very much. What are the employment prospects for an EA. I will hate to invest my time and money, hopefully pas the three-part exam only to find out it is difficult to get a job. I bought Lambers. Passed the first time. Loved how it has a pretest to see what you know and then quizzes. There a tests and timed tests to get you ready for the exam. Arthur Reed is a good instructor keeps my attention and the is hard because sometimes the material can be dry. The only con was it was expensive. By I wanted to pass the first time and I got what I paid for and that is all that matters. Stephanie, this is a great list. But I’m on the fence. Are there any discounts that would help make my decision for me?